…not the catchphrase of Dr. Lazarus, Hans Gruber, the Sheriff of Nottingham or Severus Snape, but words spoken by the singular actor with the nasal tone and sardonic expression who portrayed all of them over the course of his stellar 25 year movie career. Beloved British actor Alan Rickman passed away today at the age of 69 (strangely mirroring the very recent passing of British music icon David Bowie). 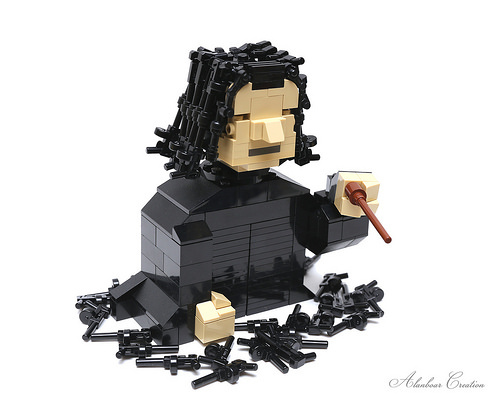 Hong Kong builder Alanboar Cheung whipped together this quick tribute to one of the more recent – and arguably most popular – of Rickman’s characters, the complicated Professor of Potions from the Harry Potter film series.